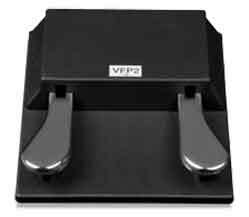 The VFP 2 is the perfect pedal for the touring pianist who needs an extremely reliable perfect action sustain pedal plus a switch pedal in one handy box. 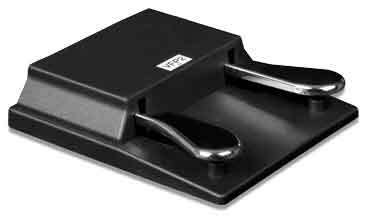 The design is exactly the same as the VFP 1 and comes housed in a solid rubberised casing with two chromed levers. 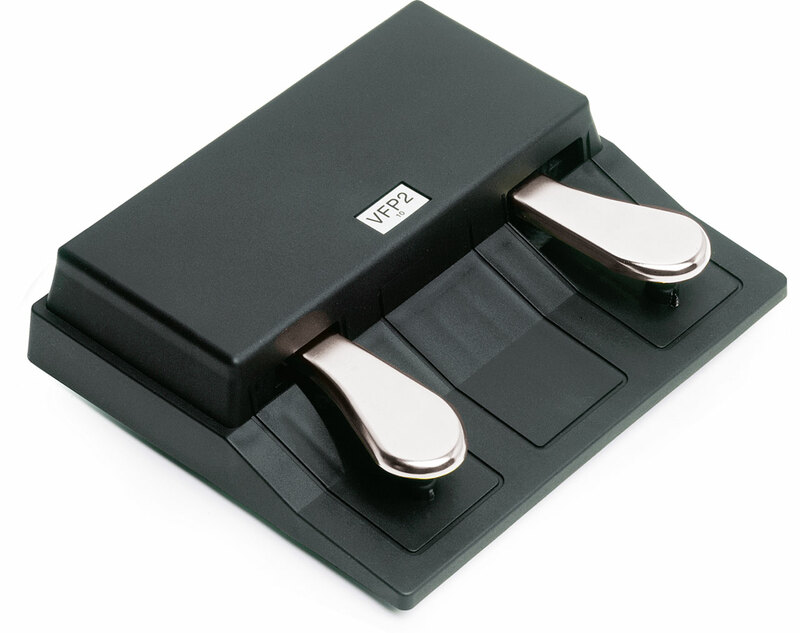 The pedal comes with one or two standard 1/4" plugs, allowing a flexible use with your keyboard or digital piano. Width: 19,5 cm / 7,7"
Depth: 22 cm / 6,7"
Height: 5,5 cm / 2,2"